FERRY: Cross Sound Ferry from New London, CT to Orient Point NY. 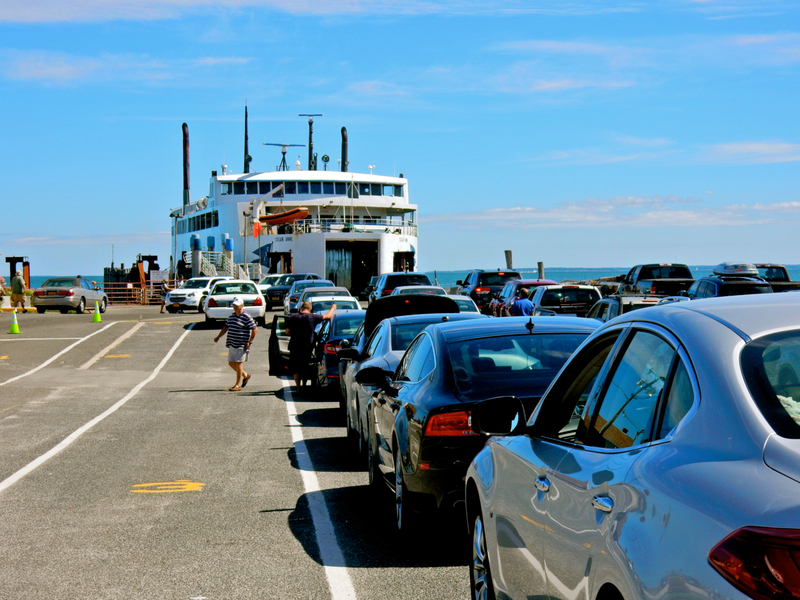 If you live anywhere in New England, the quickest and most pleasurable way to get to the tip of Eastern Long Island (North Fork) is on the 80-minute Cross Sound Ferry. Why drive all the way down to Queens NY, then up again 120 miles, when you can take the boat and eliminate the hassles of traffic and bad drivers? 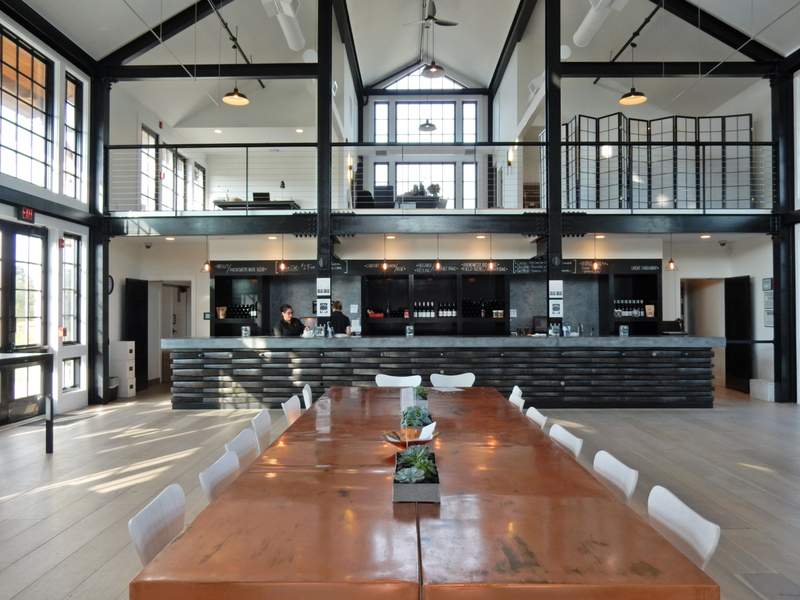 Plus, with comfy seating, a “snack” bar that sells healthy from-scratch meals, and a bar that offers Greenport Harbor craft beer, your vacation begins as soon as you leave the dock. Ferry runs year round (check website for schedule), $55 each way for car and driver, $15.75 for each adult passenger (or walk on), $6 kids – all rates quoted for advanced rsvps only. TOUR: Sep’s Farm Agriculture Tour, East Marion. 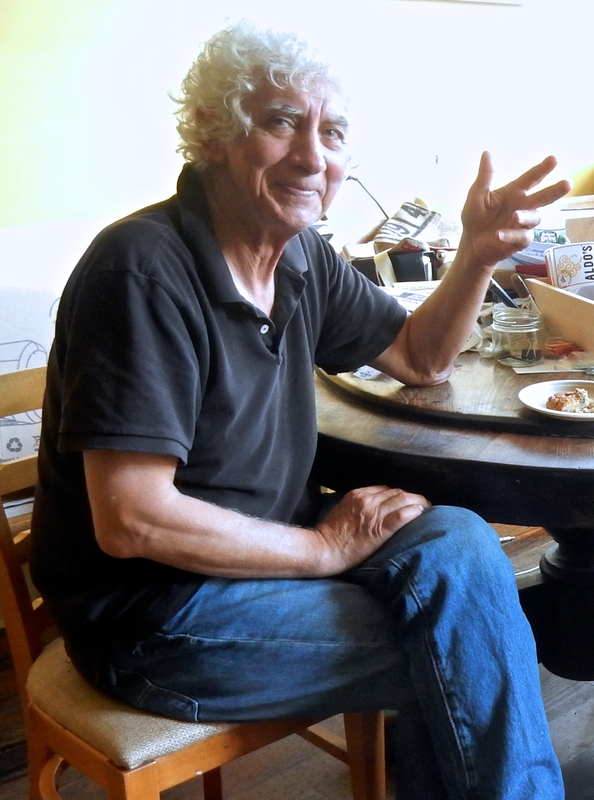 No one quite represents the Yin and Yang of the North Fork of Long Island better than Peter “Sep” Sepenoski. One day, he’s digging in the dirt and the next he’s at the helm of his 36’ Grady White, plying the waters of Peconic Bay. 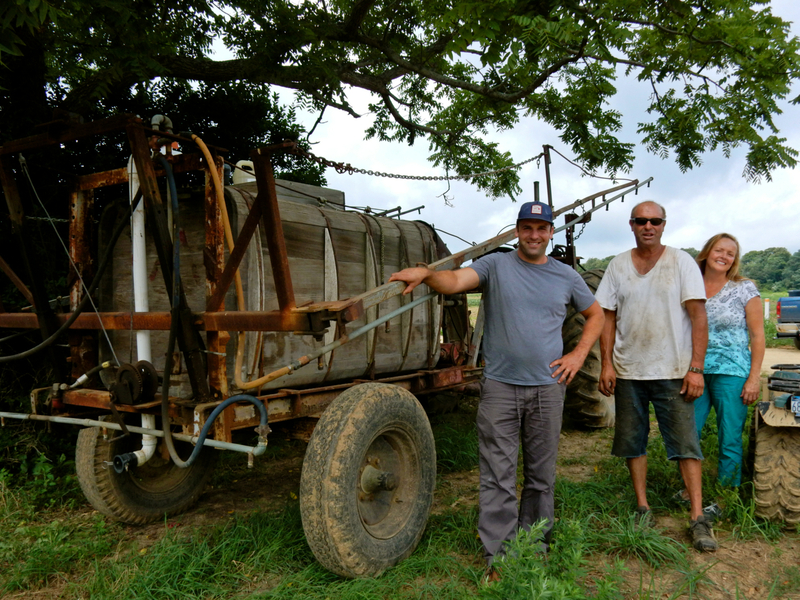 Fourth generation farmer, “Sep” known to admirers as “The Corn Whisperer,” and his wife, Katie, farm the old fashioned way, with a corn picker that Sep designed himself and old machinery that occasionally requires parts that Sep must fabricate in his own workshop. Beginning in 2017 the Sepenoski’s will be leading tours out to their 45 acres of planted everything: Blue potatoes, purple eggplant, kohlrabi – “We grow every fruit and vegetable except bananas and lemons,” says Sep, exaggerating only a little. Plans are afoot to collaborate with local wineries, cideries and breweries to create the ultimate in Culinary-Ag-Tourism. “What wines to incorporate into tomato sauce, cider in soups, that kind of thing,” says Katie. While learning about the source of your food, you’ll nosh straight from the vines, and end with an amazing tailgate feast. Keep checking Sep’s Farm website for updates and information. 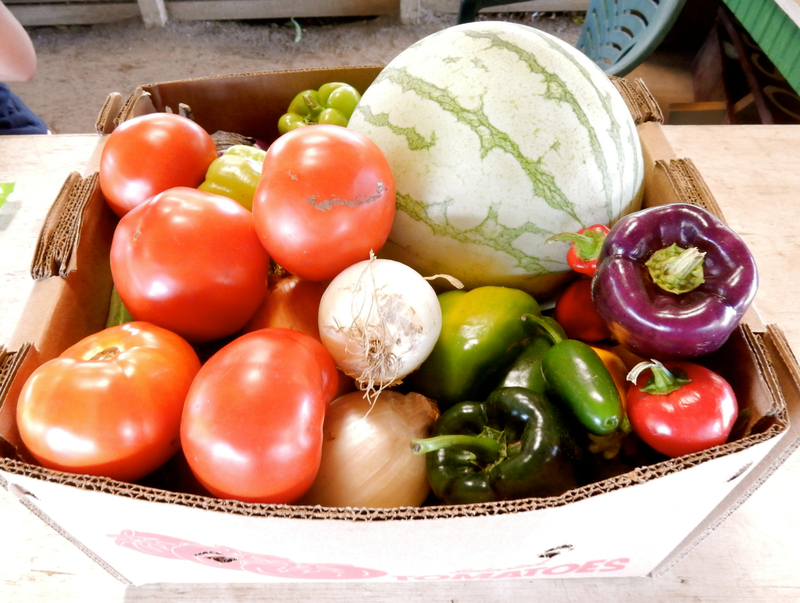 STOP/SHOP: Sep’s Farm Stand, East Marion. If you can’t join a tour, do the next best thing and stop at Sep’s Farm Stand on Rt. 25 in East Marion between the Orient Point Ferry and Greenport. You can’t miss the place in the summer, overflowing with Pinterest-ready produce. 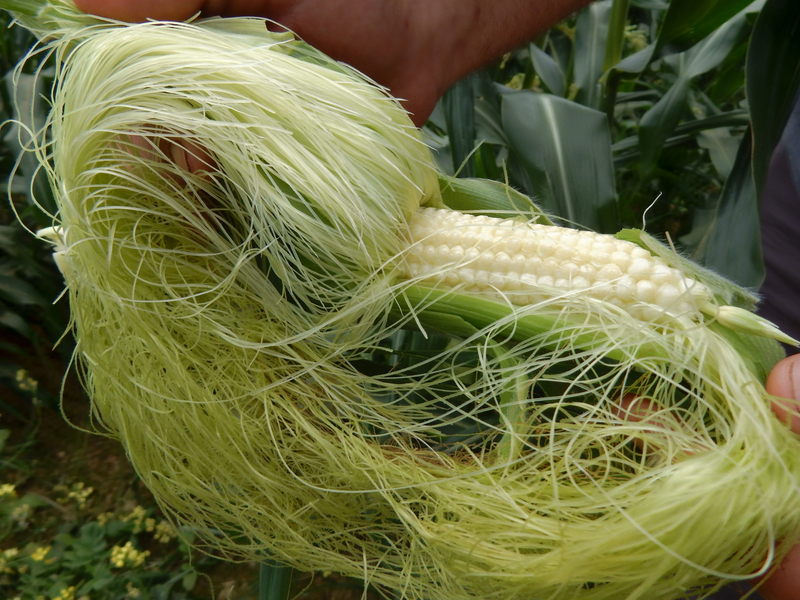 The corn is so incredibly good, you can eat it raw – and for that reason, each costs 70 cents, and is entirely worth it. 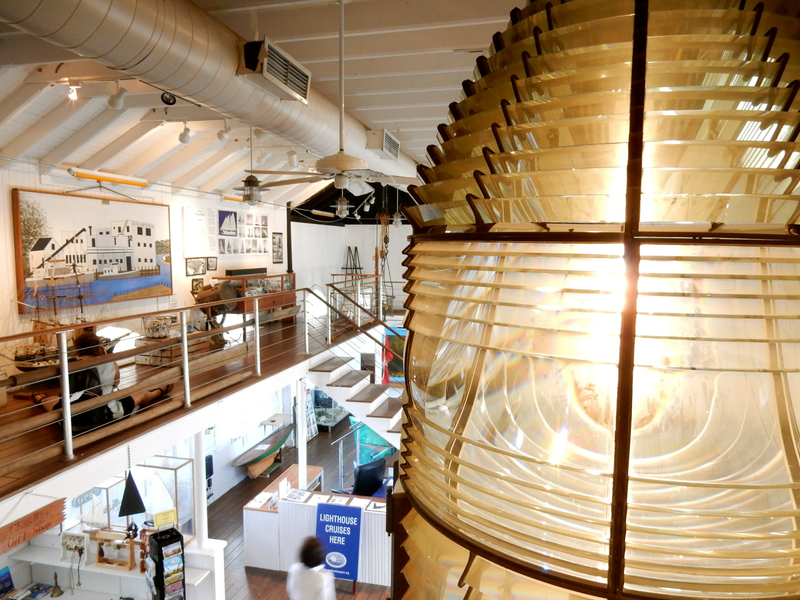 VISIT: East End Seaport Museum, Greenport. This small museum in a former Long Island RR train station packs an historic punch. You’ll find a large Fresnel Lens from Little Gull Light, a good amount of information about Long Beach Bar Light – affectionately nicknamed “Bug Light” for its former “Screw Pile” design replaced in the 1930’s by cement foundation – exhibits on the abundance of shipyards here (now closed but for one) that made Landing Boats and Mine Sweepers during WWII, a diorama depicting the workspace of W.J. Mills Sailmakers, and an homage to Claudio’s – the oldest family-owned restaurant in the USA, in family hands since 1870. Open Wed-Mon daily July – Labor Day 11-5, and Fri-Sun other times of year. $2. BAY CRUISE/TOUR: Solar-Powered Glory, Greenport. Co-owned by Captain David Berson and Andrew Rosen, the 30ft. 1990 Elco Electric boat – Glory, the first solar-powered vessel for tourist use in the country – is fully certified by the Coast Guard, and “safety-first” Berson makes sure it remains that way. Captain Dave regales guests with stories about Peconic Bay’s history, Greenport’s working waterfront, and changes to the area on a 45-minute cruise. 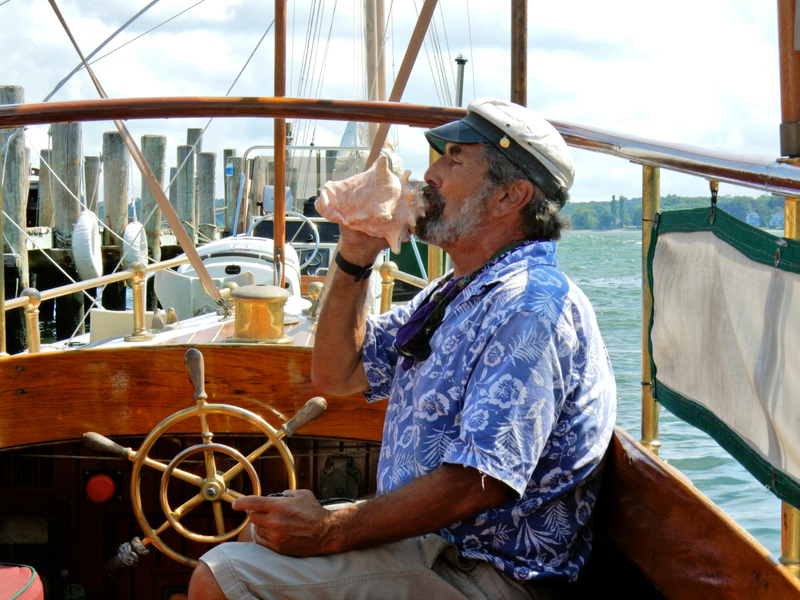 He departs the dock with a blast from his conch shell and if you’ve been good, he’ll hand you a Tootsie Roll pop at the end of the tour. 45 minute tours, $20 adults, $10 kids, Memorial Day to Columbus Day, runs 3x day Sat and Sun. July 4 to Labor Day add Mon, Tues, Thurs Fri 2x day. CRUISE/TOUR: East End Seaport Museum “Bug” Lighthouse Cruise and Tour, Greenport. For most of the week in season, the Peconic Star II is a 150-person fishing charter boat. But on many Saturday late afternoons (4pm-6pm) in season, it turns into a Lighthouse Tour Boat. 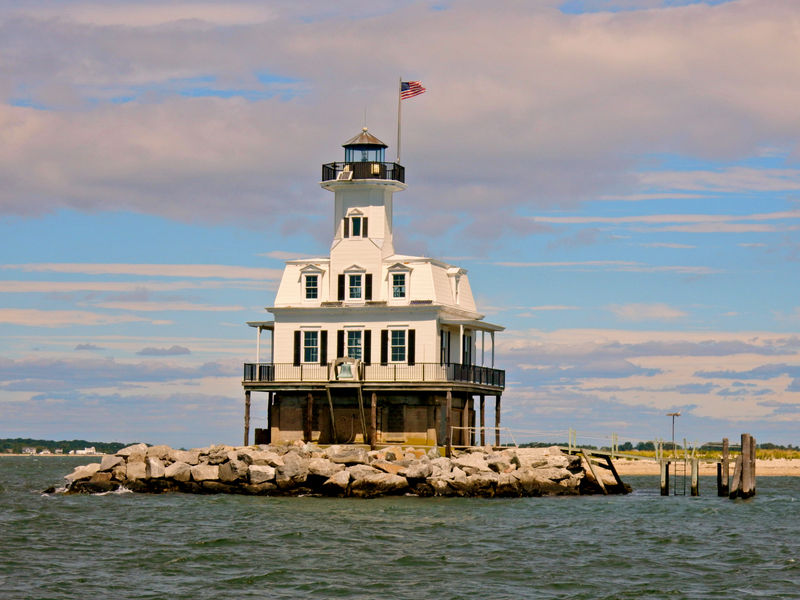 Cruise on Peconic and Gardiner’s Bay, learn the history of the lighthouse (decommissioned in 1948 and brought back to life in 1990) from local maritime experts and a light-keeper’s great-grandson. $35 adults, $20 3-15 years old, most Saturdays from June through September 4pm-6pm. Some tours run till 9pm. 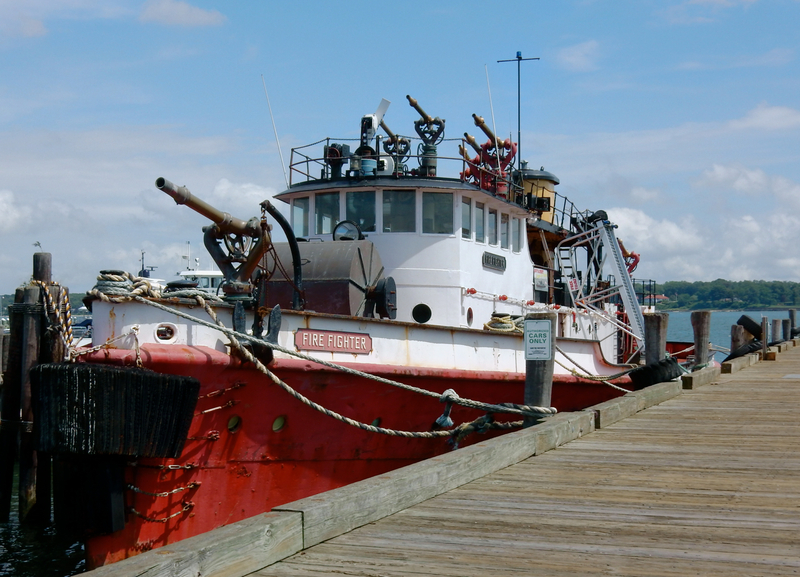 TOUR: Fire Fighter – America’s Fireboat Floating Museum, Greenport. This 1931 New York City fireboat was on the scene on 9-11-2001, brought back from retirement for her water-pumping strength. She is slowly being restored, so here is your chance to see historic preservation in action. Located behind the East End Seaport Museum. Open every Friday, Saturday and Sunday from 11-5 through Labor day, Saturday and Sunday year round. Donations appreciated. RIDE: Mitchell Park Carousel, Greenport. A gift from Grumman Aircraft Corp, this 100-year-old merry-go-round is housed in an uber-contemporary building, steps from the waterfront and Main Street. $2 per ride. 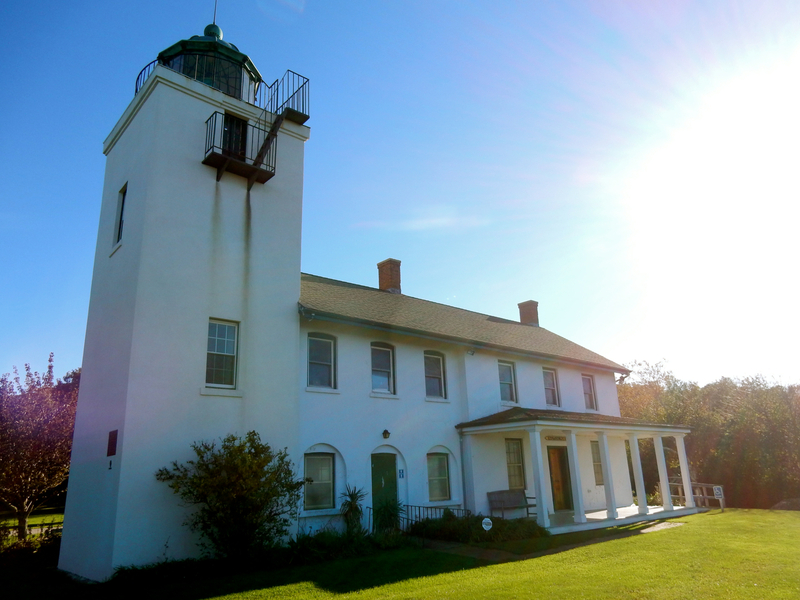 VISIT: Horton Point Lighthouse, Southold. First commissioned by George Washington in 1790, the lighthouse that now protects mariners from this point of land was built in 1857. The Southold Historical Society maintains a small Nautical Museum on this site, open from Memorial Day to Labor Day, Sat. and Sun 11:30-4pm. PADDLE: SUP with One Love Beach. 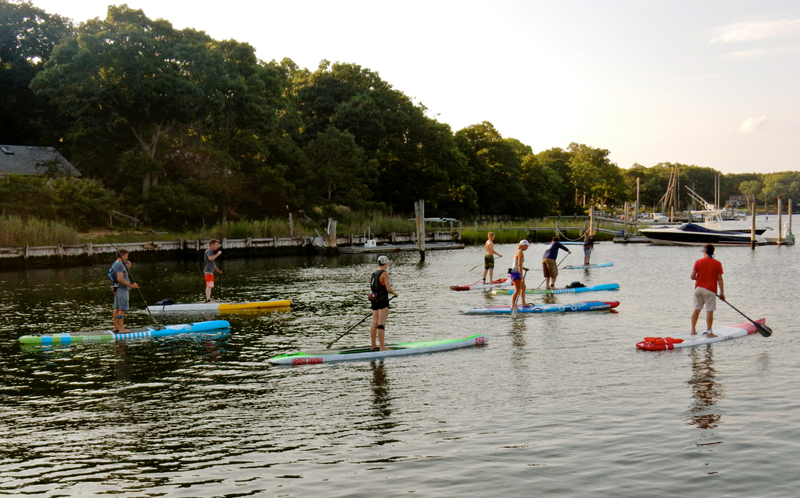 One Love Beach offers “Paddle and Pint” Community Paddles on Tuesday evenings at 5pm from mid-May to mid-Sept in a different North Fork waterway each week, depending on weather. On windy late afternoons, Gull Pond is the perfect spot to learn to race Stand Up Paddleboards, other evenings might see SUPer’s on Long Island Sound. After the lesson, paddlers head to First & South for a beer or two. Check website for costs and upcoming events. VISIT/SIP: Kontokosta Winery, Greenport. There’s a reason this vineyard has become an instant success: Kontokosta is flat-out gorgeous and the wines are very fine. 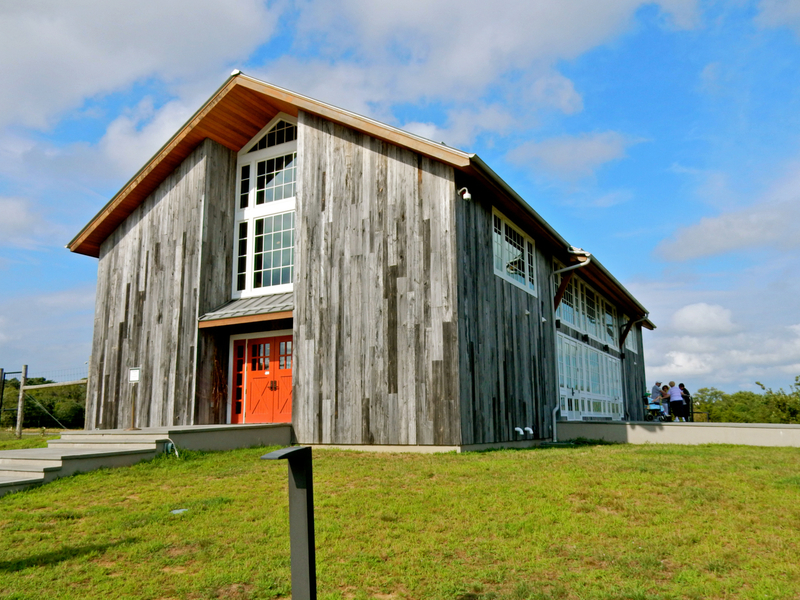 Michael Kontokosta left his life as a NYC corporate lawyer to purchase his family farm, planted vines in 2002, started selling his grape harvest to other wineries in 2006, and opened this stunning LEED-designed structure as event space and tasting room in 2013 for his first vintages. Kontokosta’s Cab Franc ’13 was named Best In NY (at the NY Food and Wine Classic), and other varietals have also won accolades. With 23 ½ acres of planted vines, a wind turbine that powers 70% of the vineyard’s energy needs, long views down to Long Island Sound, and a modern-barn structure built with 110 year old siding and flooded with light through an abundance of windows, the gestalt takes a visitor’s breath away. 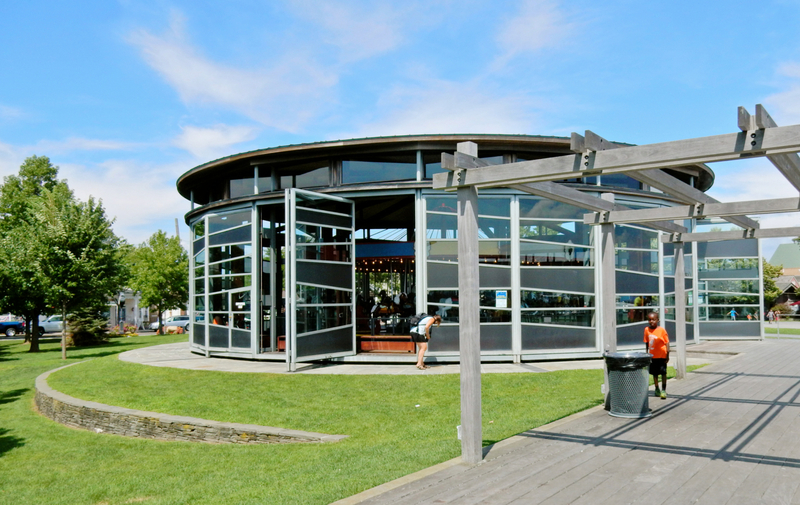 Belly up to the poured concrete bar (which tops a textural façade made from barrel stays) to try a grassy, earthy, peppery Cab Franc, a fruity aromatic Cab Blanc, or something else from the 3,500 cases of wine produced here per year. “Places like Yellowtail spill as much in a day as we make in a year,” says the very happy, low-keyed Kontokosta. Open Sun-Thur 11-5, Fri 11-6, Sat 11-sunset. Check website for private event closures. 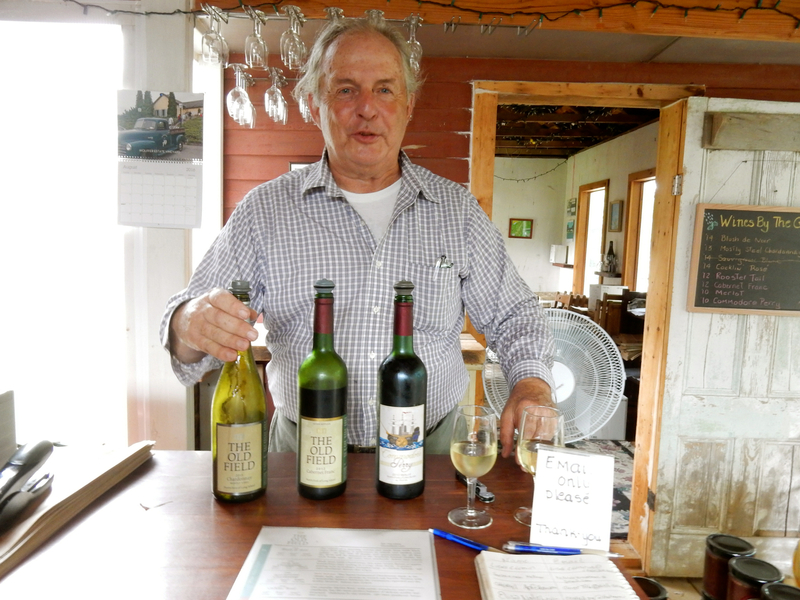 VISIT/SIP: The Old Field Vineyards, Southold. Owned by Christian and Rosamond Baiz, Old Field sits on waterfront acreage that was once a thriving resort hotel complex until just after WWI, when the Baiz family purchased it for farmland. As with so many other family farms, Christian purchased the land from his family, planted Pinot Noir, Merlot and Cabernet Franc (the “wine of Long Island”) in 1996, and now makes and sells mouth-watering vintages from the hotel’s original carriage house stables. Rosamond is tangentially related to Commodore Matthew Perry, which explains the vineyard’s top 100% Merlot ($40) under the “Commodore Perry” label. Try it and the lower priced Table Wines, e.g. Rooster Tail Red, throughout the year. As a matter of fact, with the small wood stove ablaze, you’ll be “snug as a bug in a rug” in wintertime. Open Thurs- Mon 11-5, tastings $12 for 4 wines. Sustainable Agricultural Tours Sat @ 12:15, $20 for tour and 5 tastings, Historical Tours Sun 1:30, $20 for tour and tastings. 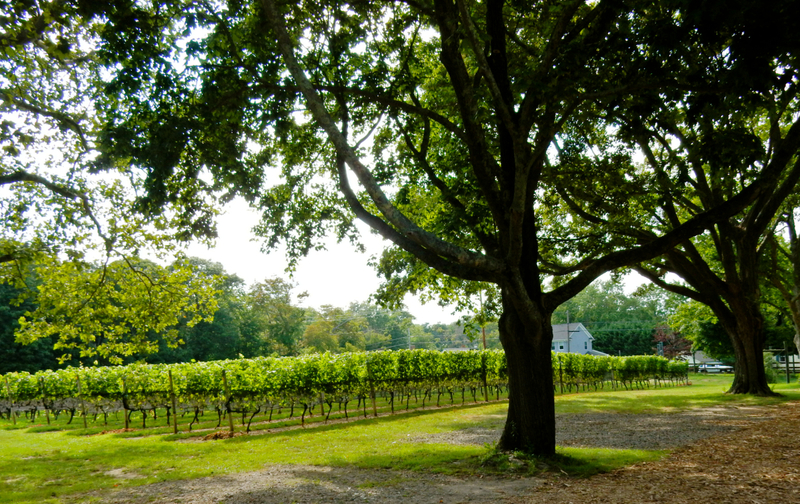 VISIT/TASTE: Croteaux Vineyards, Southold. 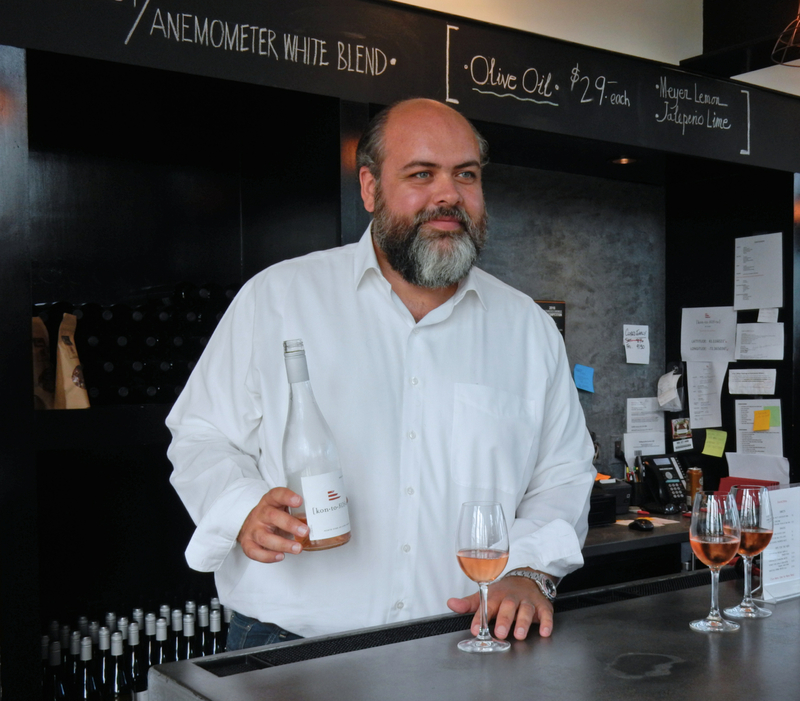 Plan an hour or more at the only winery in the USA devoted entirely to Rose wines. 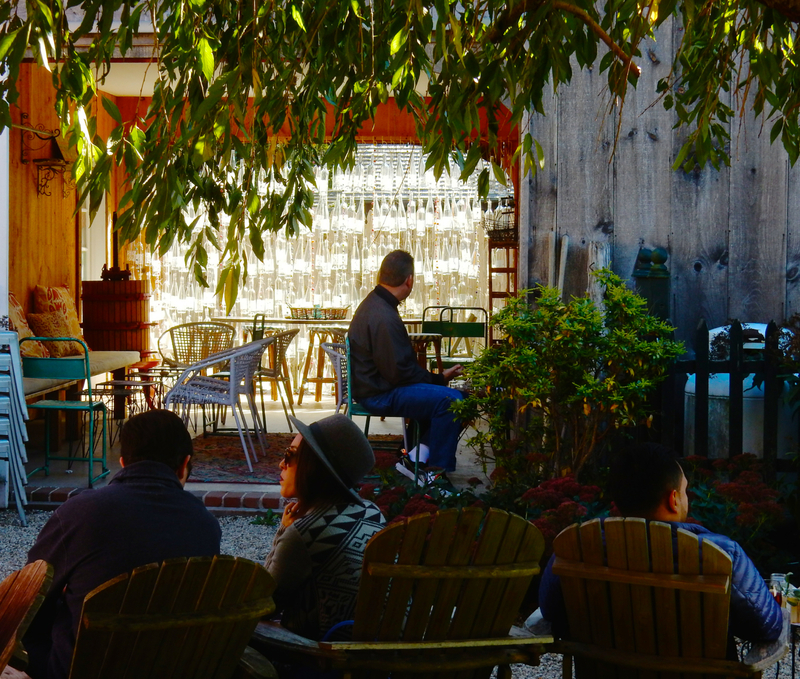 No doubt the outdoor garden patio, with reclaimed wood partitions and a wall of lit-up empty wine bottles, is one of the most charming on the North Fork. 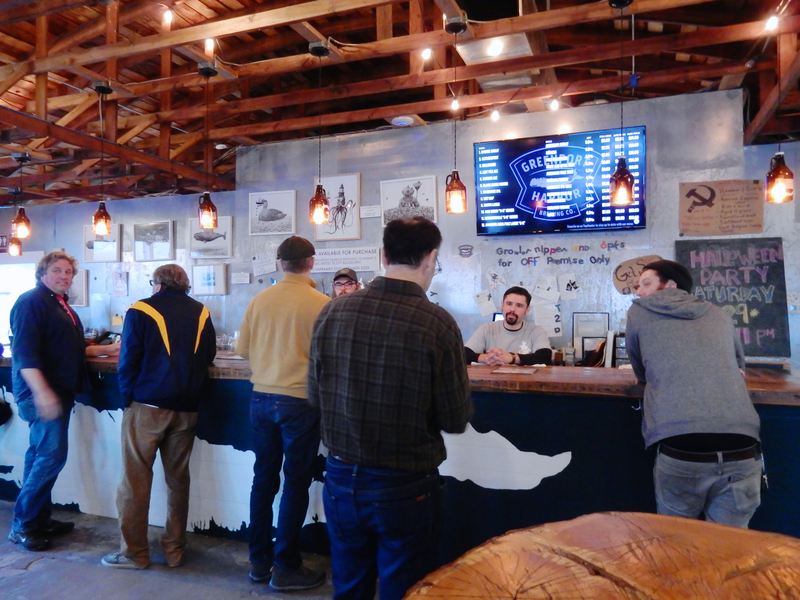 VISIT/TASTE: Greenport Harbor Brewing Co., Southold. Why should wine lovers have all the fun on the North Fork. On weekends, enjoy your Leaf Pile Ale, Black Duck Porter, and for the winter Anti-Freeze Ale, while listening to really good live music most weekends. No need to go anywhere else for a meal, either – the Food Truck out front has decent grub. TOUR: Vintage Tours. Wish to taste a lot of wine, but don’t want to drive? 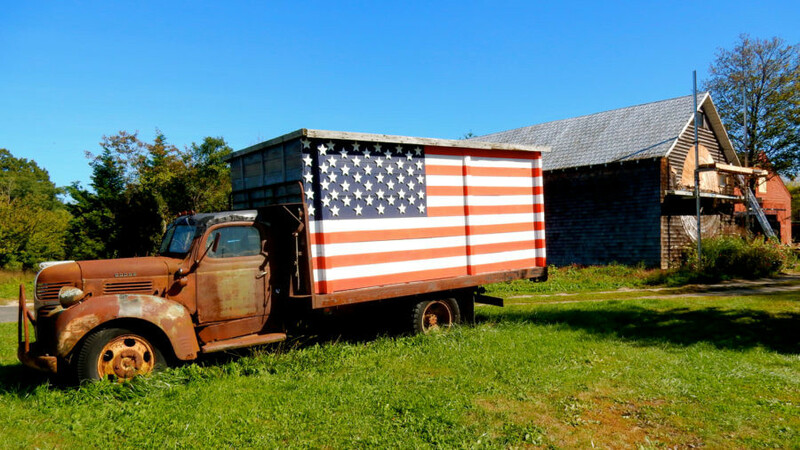 Vintage Tours, owned and operated by Jo-Ann Perry, picks you up and takes you to several North Fork Wineries. Fee of $99pp includes pick up and drop off at area marinas, hotels or Ferry Dock in a 14 person air-conditioned van, a visit to four wineries and a farm stand, gourmet lunch in a bucolic setting – with wine! Call for reservations, tours fill up quickly especially on summer weekends. VISIT/SHOP: Catapano Dairy Farm, Peconic. 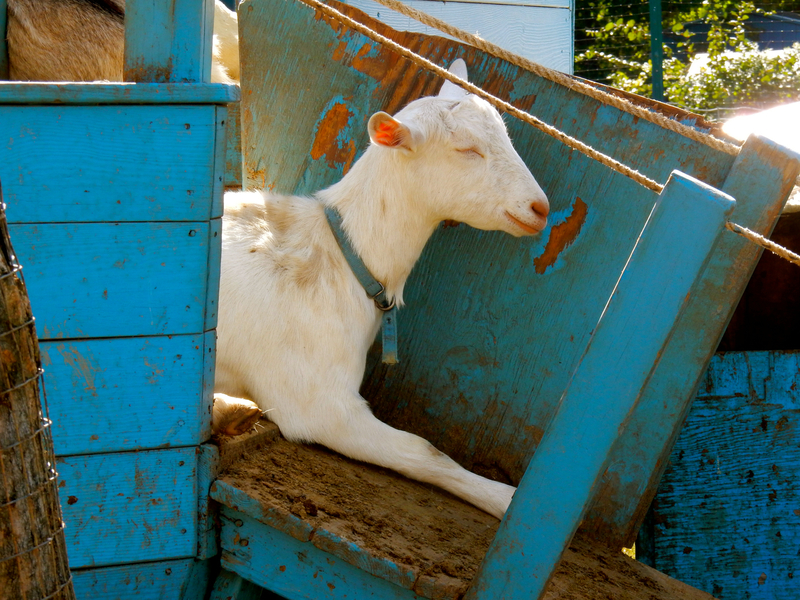 Even if you hate cheese, you’ll fall in love with these happy, gamboling goats. Watch cheese makers at work and then stop in to the shop to purchase what the American Cheese Society proclaims “The Best Fresh Goat Cheese in America.” Open May-Sept. daily 10-5. SHOP: Greenport Fire, 125 Main St. Greenport. “Everything hot,” from hand-rolled cigars to scorching pepper sauce. 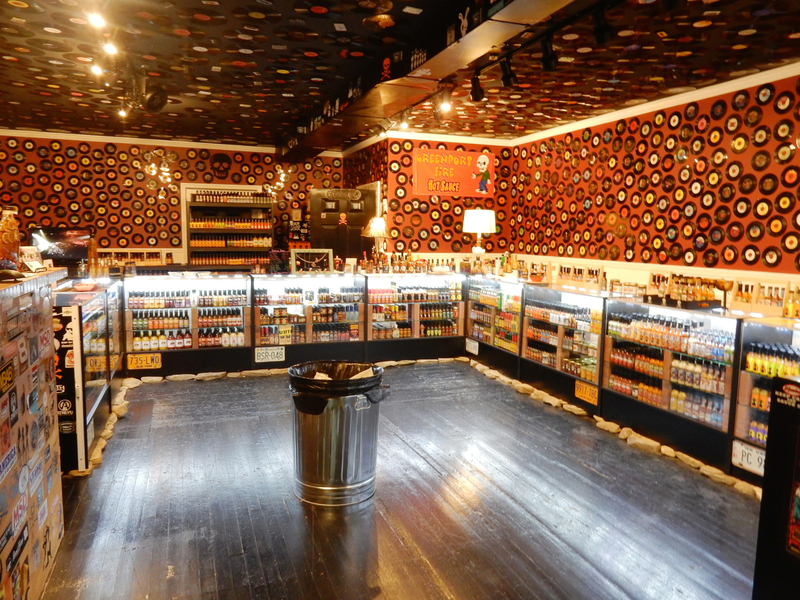 What a blistering concept within a cooly designed space. 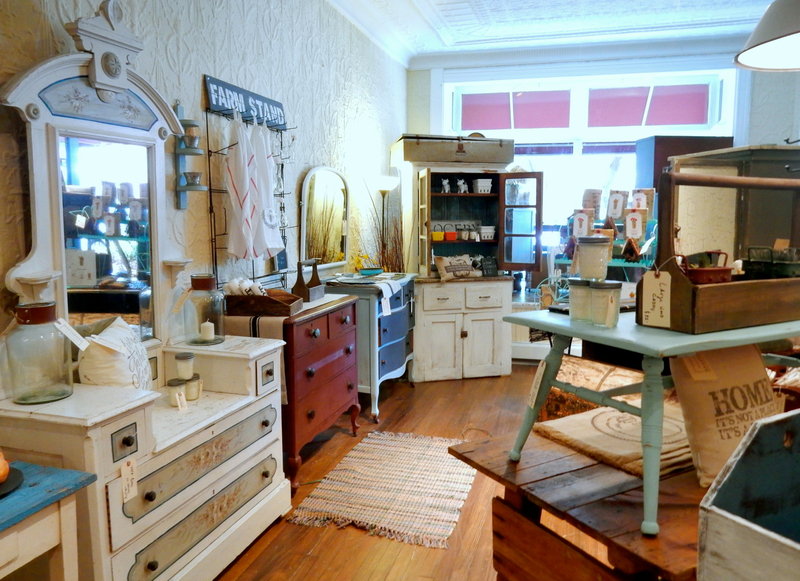 SHOP: The Mercantile, 413 Main St., Greenport. Pick up an American Flag board, large pillows with cute sayings, and other comfort-food-style home-goods here. My purchase? A white ceramic berry carton for $12. 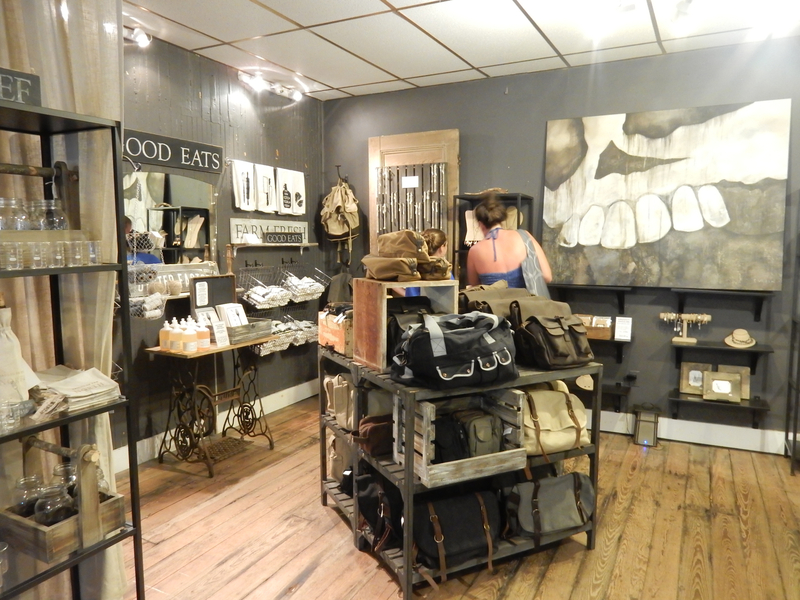 SHOP: The Weathered Barn, Greenport. Another unique home-goods, furniture and gift store – proof that Greenport is not a tourist tchotchke center. Shops here are distinctive and creative – you’ll see products here you won’t see anywhere else. DETOUR – STOP/SHOP/PHOTO OP: The Big Duck, Flanders. Plan a quick side trip on your way to or from the North Fork – just a few minutes out of the way. 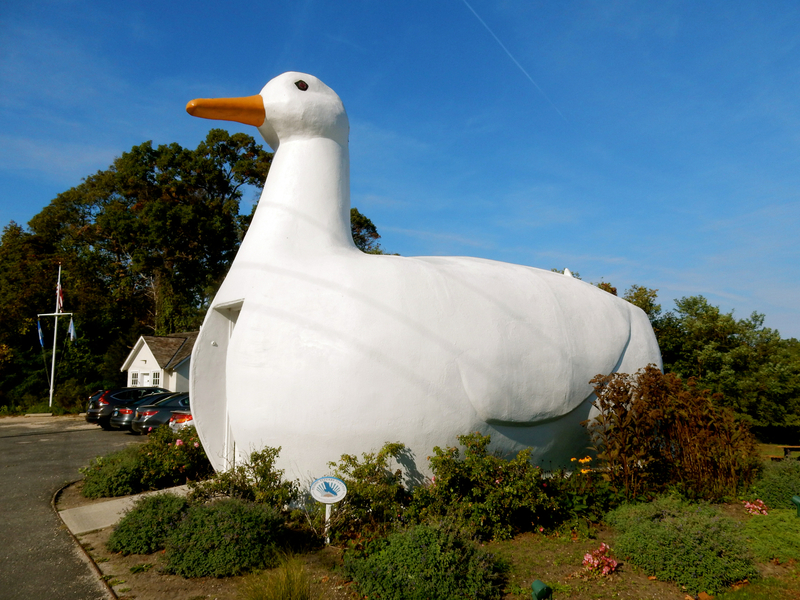 In 1931, Riverhead duck farmer, Martin Maurer and his wife, Jeule, built their sales office in such a way as to capture tourists driving to Eastern Long Island, in order to sell the Peking Ducks they were raising. Saved by fans, the concrete structure was moved to its present location in Flanders in 1987. This very building is also an architectural icon, lending its name to Architecture Studies. The term “duck” now refers to any highly sculptural form that represents the products available within. Rather than ducks, the Big Duck Store now sells “duck-a-belia.” Open Year Round Mon-Fri 10-5, Sat 10-3, Sun 10-5 . SNACK: Southold Fish Market, Southold (Across from Port of Egypt Marina). 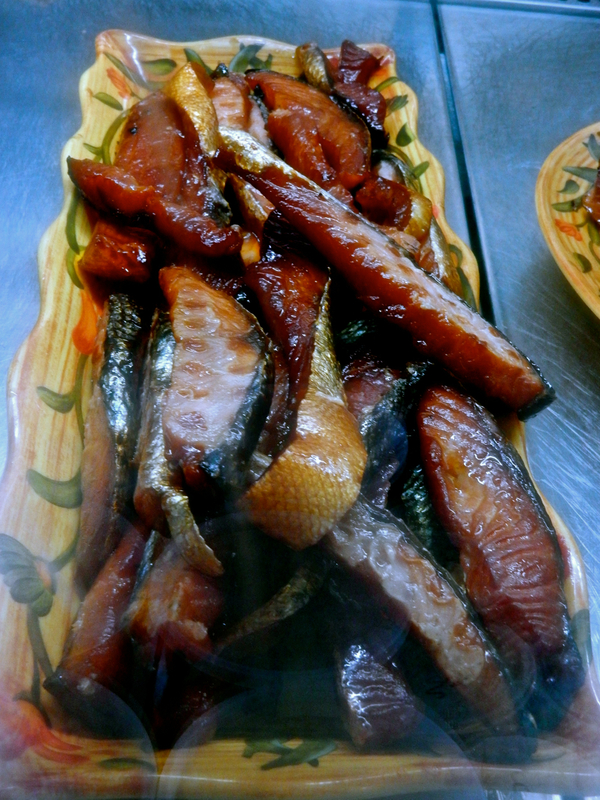 In addition to fresh-caught snapper, blues and other fish, this Fish Market offers Candied Salmon, one of the most decadent and addictive snacks on earth. Like potato chips, you can’t eat just one. (And you can console yourself with the idea that the Omega-3’s you’re ingesting offsets the sugar). 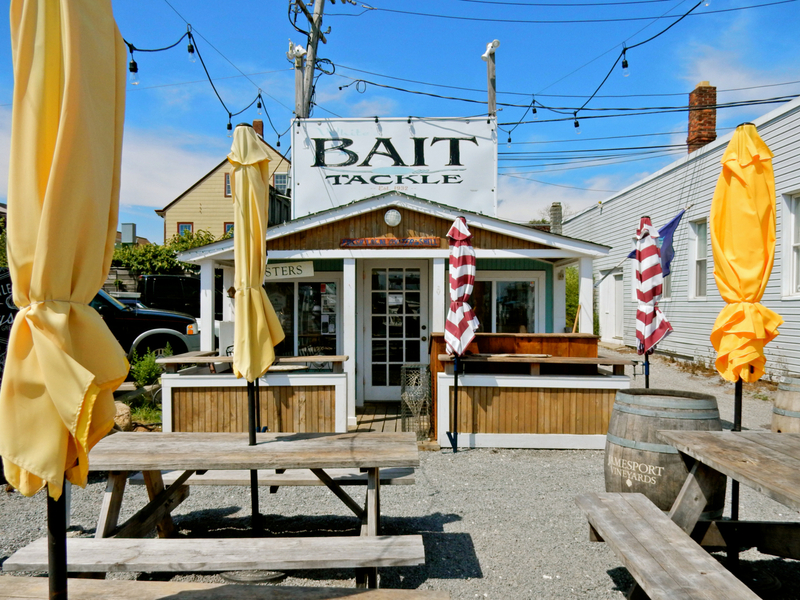 EAT/LUNCH: The North Fork Shack, Southold. Pulled Lamb and Cajun Fish Tacos are on the menu at this roadside Farm-To-Table spot, offering very unshack-like inventive and excellent fresh-fast-food. 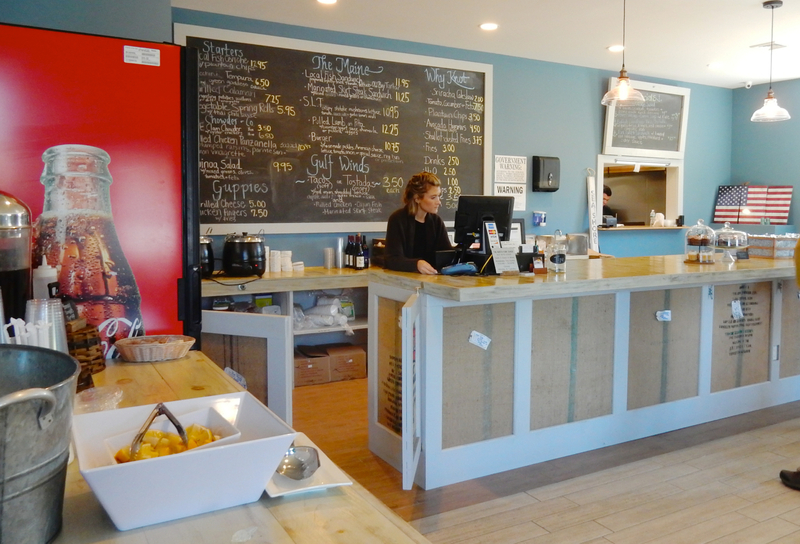 EAT: A Lure Chowder House and “Oyster-ia“, at Port of Egypt Marina, Southold. 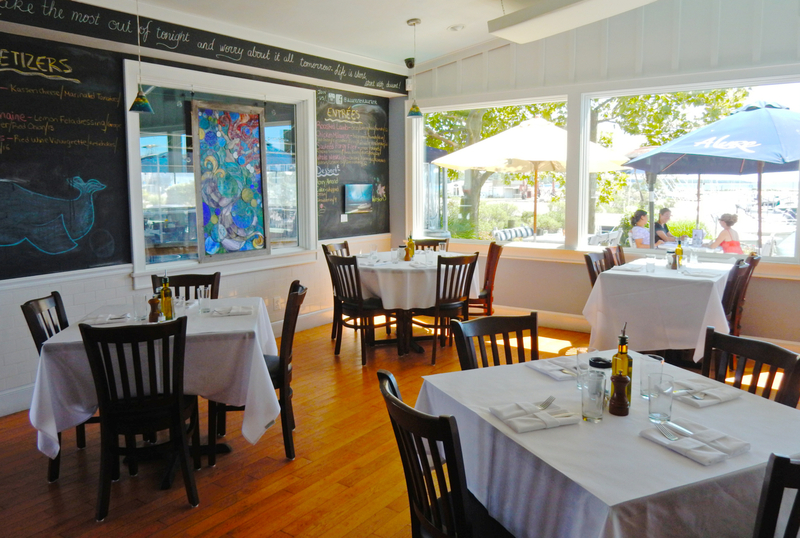 This fine restaurant overlooking the yachts at dock is worth the 5-minute drive from Greenport. Both the cuisine, with ingredients seemingly freshly plucked from land and sea, and the ambience is stunning. Tuna Tartar, with a hint of sesame-ginger-soy, is perfect, as are eye-catching salads and the addictive slightly fried shrimp, which, not surprisingly, is the house-best-seller. EAT: North Fork Table and Inn, Southold. 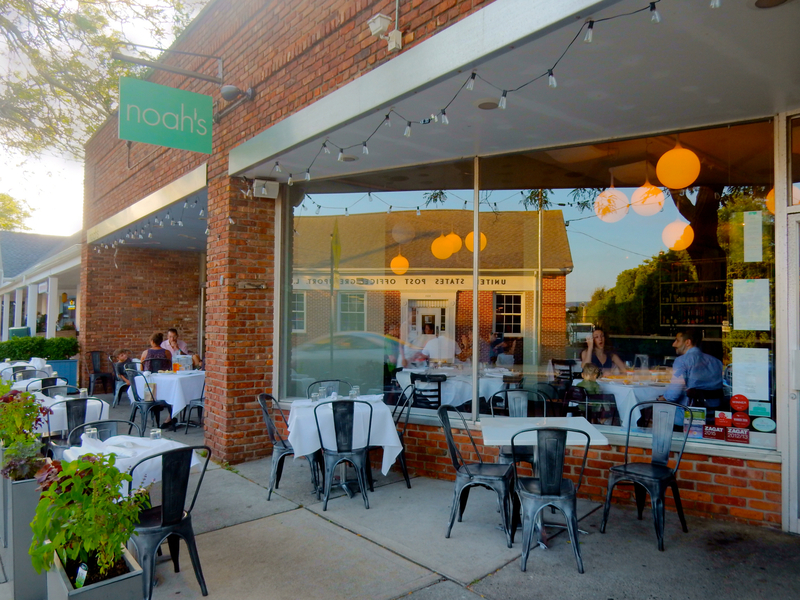 Many claim this to be the “best restaurant on Eastern Long Island” if not the whole of LI. 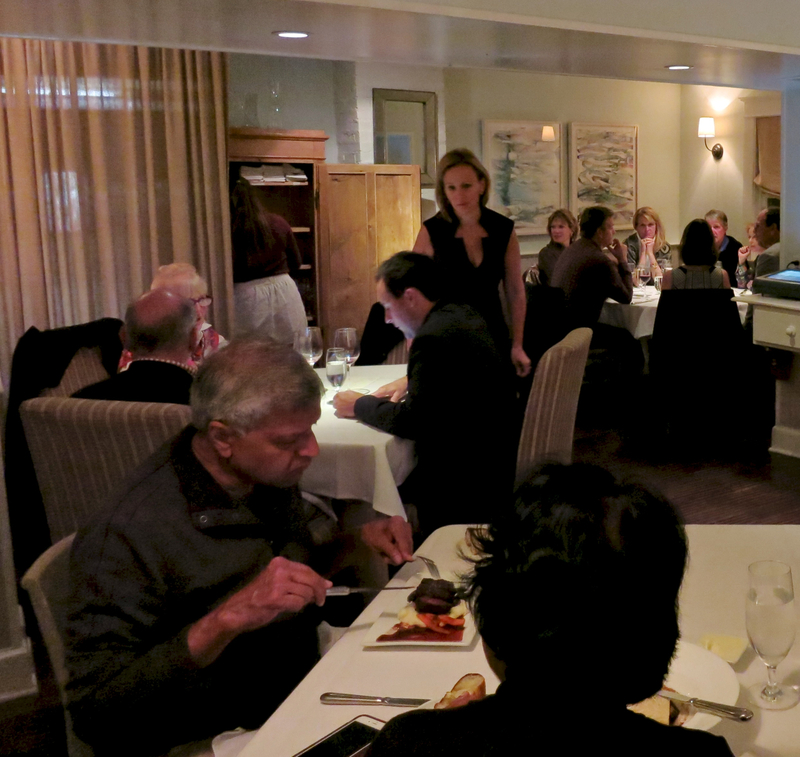 A packed house every open night – it’s a tough table to get for a reason. 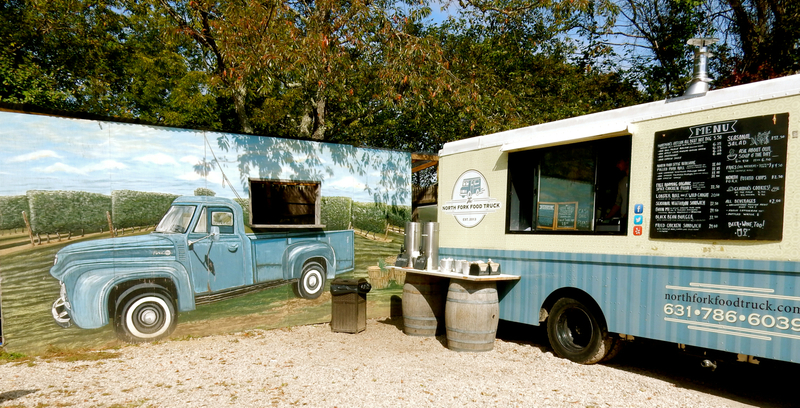 EAT: North Fork Food Truck, Southold – in North Fork Table and Inn parking lot. So, if you can’t get in to the above Inn, I recommend this easy to access open-air eatery. It’s got all the greats – hot dogs, pulled pork, “Grownup Grilled Cheese” and even something for your Vegan friends (Black Bean Burger). EAT: Little Creek Oysters, Greenport. In a former Bait and Tackle shack behind Claudio’s, Little Creek is the very definition of DIY dining. You get shucking gloves, a shucking knife (with instruction, of course) and will experience some of the freshest oyster’s you’ve slurped down. 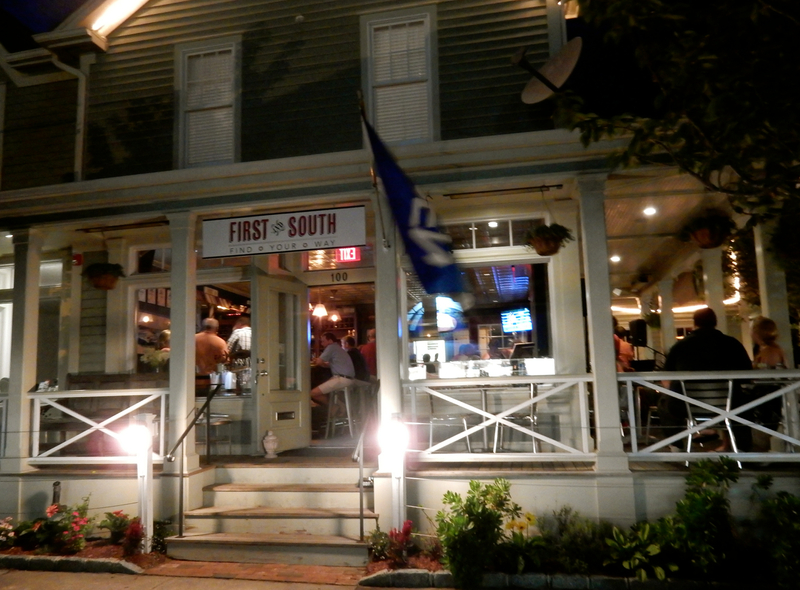 EAT: First and South, Greenport. This is where all the paddlers hang out after an evening on the water. Great burgers, excellent beer and live music for an all around fun and decent casual dining experience. 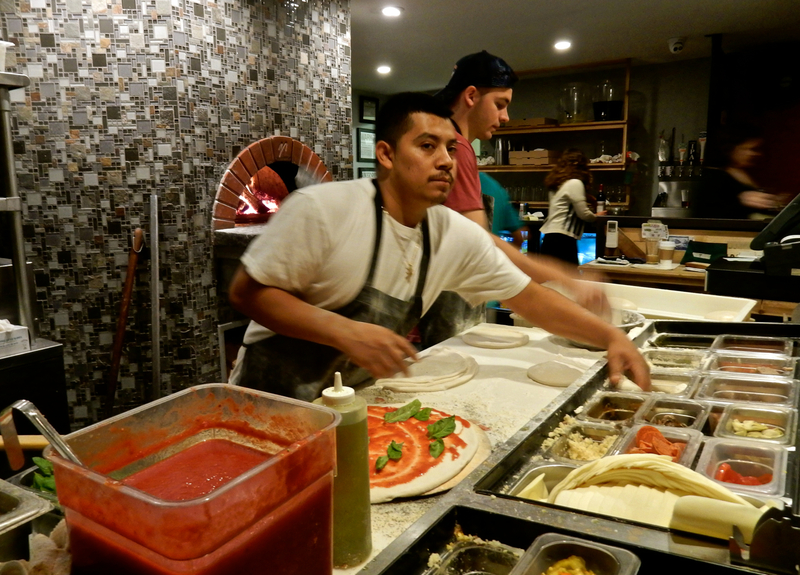 EAT: 1943 Pizza Bar, Greenport. The pies are made right before your very eyes and then shoved in a glowing ember brick oven to bake and crisp up and emerge perfectly charred. Awesome. EAT: Greenport has upped its game in the restaurant department – so much so, everyone local seems to have his or her own preferences, among them – Noah’s for excellent inventive small bites (though recently, service was very sluggish, so give yourself plenty of time), Frisky Oyster for high-end fun dining, Lucharito’s for Mexican food, Brix and Rye – old timey cocktails in a “speakeasy” setting, Stirling Sake for artisanal sake and authentic Japanese food, and American Beech for beachy bites. STAY: There are plenty of charming B&B’s and a couple of nice hotels in downtown Greenport – the best of which is the Harborfront Inn. But for something a bit out of the ordinary, just three miles away, see our recommendation below. 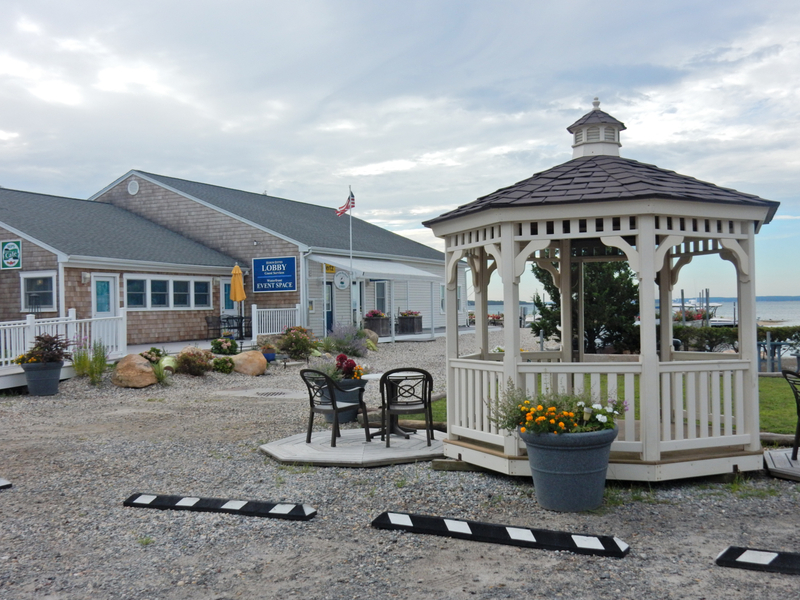 STAY: Heron Harbor Suites at Port of Egypt Marina, Southold. The Getaway Mavens constantly search for deserving attractions, restaurants and lodging off the beaten track, and this little updated fishing motel certainly qualifies. Check out this post for a full review. Came across your article on the north fork. 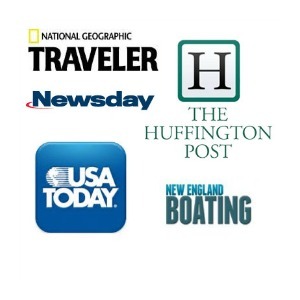 Frankly, for boaters like ourselves it is the most beautiful place and our favorite destination. Brewers Sterling Harbor is a fabulous marina in Greenport. That linked to the incredible surroundings, as you describe, make for a fabulous weekend, long or short. And , as a bicyclist, we get to enjoy all the wonderful places you noted. Our normal ride is from Greenport to Matatuck . On the return trip we stop in Port of Egypt for lunch at Alure. Sitting outside looking at the boats in the marina is pure delight. Thanks so much . You hit it right on the nose. The north fork has it all!